Kanatcha joined Watsi on August 24th, 2015. Three years ago, Kanatcha became the 1434th member to automatically support a new Watsi patient every month. Since then, 3,663 more people have become monthly donors! 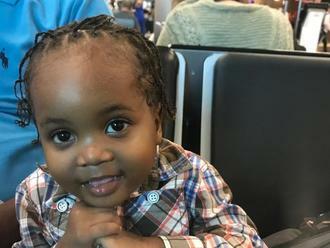 Kanatcha's most recent donation supported Bedens, a baby from Haiti, to fund prep for cardiac surgery. Kanatcha has funded healthcare for 43 patients in 12 countries. Sotheany is an eight-month-old girl from Cambodia. She is an only child. She likes to play with her doll. Sotheany has strabismus in both eyes. Strabismus is a misalignment of the eye caused by injury or dysfunction in the associated nerves and muscles. It is difficult for her to see clearly. Sotheany traveled to our medical partner's care center to receive treatment. On November 2, surgeons at our medical partner, Children's Surgical Centre (CSC), will perform a corrective procedure to align her eyes. Now, Sotheany needs help to raise $292 to fund this procedure. Her father says, "I worry about my daughter's vision and hope she can see straight." 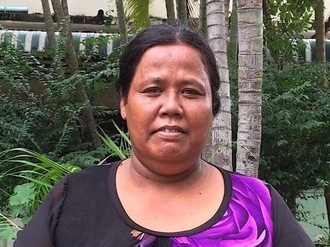 Sokhon is a woman from Cambodia. She has a young son, and she enjoys spending time at home. Two months ago, Sokhon slipped and fell down and dislocated her left elbow. Ever since, she has had a recurrent elbow dislocation, and she is in chronic pain. She cannot work and support her family. Sokhon needs to undergo a reduction procedure to regain mobility in her arm and elbow. Surgery is scheduled for August 9 and will cost $390. She says, "After the operation, I hope I have good function in my arm and do anything I want." Charawi is a seven-year-old student from Thailand. She lives with her parents and a 15-year-old sister in Air Ko San Kamluang Village, Pang Ma Pha District of Mae Hong Son Province. 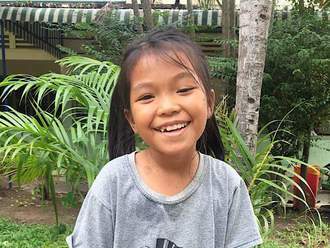 Charawi is a happy girl who loves to play with friends when she has spare time. She loves to sing and dance. When Charawi was a six-year-old, her left knee and thigh got swollen. 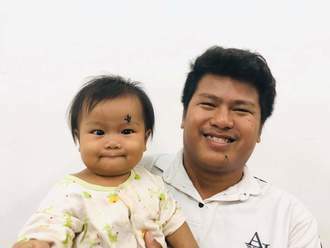 Her parents took her to Pang Ma Pha Hospital, and doctors referred her case to Srisawan Hospital in the town of Mae Hong Son. Doctors from Srisawan Hospital performed an x-ray and ultrasound and gave her some injections. After spending four nights at the hospital, she was discharged and was asked to come back for two more follow-up appointments. However, Charawi’s condition did not get better. Doctors want Charawi to undergo an MRI, an imaging procedure that uses magnetic fields and radio waves to produce images of bodily organs. This scan will hopefully help doctors diagnose her condition and formulate an appropriate treatment plan. 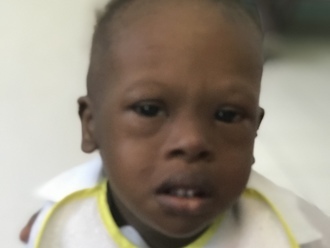 Our medical partner, Burma Children Medical Fund, is requesting $814 to cover the cost of Charawi's MRI and care, scheduled for July 23. Charawi says, “I want to be a medical doctor when I grow up. I want to work in the medical field because I want to treat other patients."